Bulk and RO RO shipping are one of core business of our company, we can provide professional logistics service and consult for special cars and Engineering equipment cars. 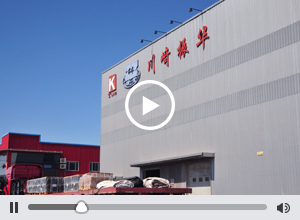 KLZH has its own warehouses, including normal and bonded warehouses in mainly cities of China. Our warehouse department has a professional team of staff who can provide the best quality services, as well as state of the art Warehouse Management System (WMS) and Material Handling Equipments, together with a 24 hours Security system, perfect alarm devices system and automatic sprinkler system to give our clients the best warehouse solution in China. We can provide labeling, sorting, packaging etc. for value-added services according to customer`s requirement in order to convince customer`s clearance and sailing on the market. We can offer transportation service with trucks ranging from normal box trucks, gal-winged trucks, container haulage trucks, trucks for DGR among others. We also offer both whole truck load transportation and less than whole truck load transportation. Besides land transportation, we can also arrange domestic rail transportation as well as sea and air shipment. We also offer door-to-door transportation services. As one of the advanced logistics services provider in China, we have a team of specialists that can analysis the logistics request of each and individual client and offer them comprehensive logistics solutions with our state of the system including warehouse storage, transportation and other sectors to achieving their goals for cost control. Air transport services for customers with high quality transport services as the main body of international air transport and domestic air transport. Customers can choose service scope according to their own requirement (door to door, door to the airport, the airport to the airport, the airport to the door) and time requirement. We will provide customers with a variety of transport solutions, including the fastest and most economical flights to use, and in the case of meeting the needs of customers to maximize the customer's expectations. "K"Line China Ltd. and Zhenhua Logistics Group in Nov.8 2005, which registered capital of USD 3.4 million. The business scope covered domestic and international transportation (by Air,Ocean and Land), warehousing (bonded and non-bonded) and so on. Founded in November 8, 2005, is by Kawasaki Corporation, Kawasaki Chinese steamboat steamer And Zhenhua Logistics Group joint venture, the registered capital of 3 million 400 thousand U. S. dollars. The business model of the company Sea, air, land, storage, etc.